Below you can view all the homes for sale in the Deer Valley subdivision located in Suwanee Georgia. Listings in Deer Valley are updated daily from data we receive from the Atlanta multiple listing service. To learn more about any of these homes or to receive custom notifications when a new property is listed for sale in Deer Valley, give us a call at 404-998-4113. 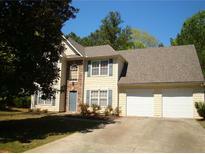 Private Access Lake, Walking Distance To Settles Bridge Park W/Dog Park, Skate Park, Playground, Walking Trails & More! Truly A Must See! MLS#6538113. Virtual Properties Realty.Com. Top Notch Schools And Ideal Location! Swim/Tennis MLS#6521991. Solid Source Realty, Inc..
Top Floor Offers 4 Bedrooms/2 Baths. Walk To School, Parks & River! MLS#6519798. Keller Williams Realty Chattahoochee North, Llc. Lambert High School- Great Location Close To Schools - Good Location To Commute Into City MLS#6517174. Keller Williams Realty Community Partners. New Vent Hood, Newer Roof, Water Heater, Carpet, Garage Door, Storm Doors, Lights, Gutters & Furnaces. Move In Ready! MLS#6505367. Keller Williams Rlty-Ptree Rd.